The Fantasy Super Samurai Sword is definitely striking in appearance. It's just a great display piece to add to your Samurai collection. It features a black painted stainless steel blade with a green painted accent. 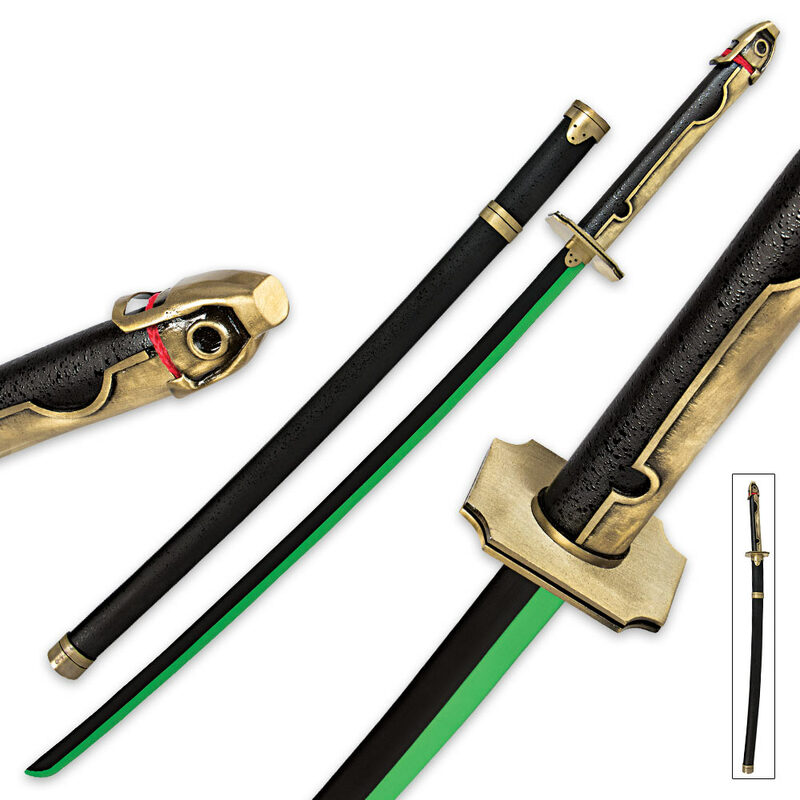 The black scabbard compliments the sword with its gold accents. 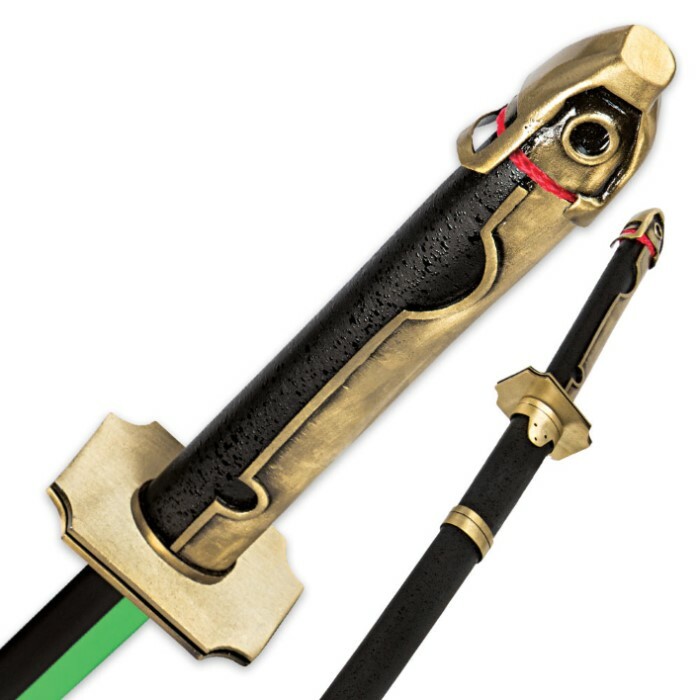 I purchased the "fantasy samurai sword" due to my love of the anime Owari no Seraph since this is the sword wielded by the anime's main character. The painted accent is perfect without any missed spots and the blade's balance is perfect. The blade occasionally hangs as you try to draw or sheath it, and the gold accents on the hilt of the sword also make it uncomfortable to hold but since it is a display piece that's not really much of an issue. In the end it is exactly as described and is not only a perfect addition to a collection for anime lovers but for sword lovers in general.